A recent study by Stanford researchers has revealed yet another racial disparity in housing -- and the cause is not racial discrimination. The study shows that when comparing similar incomes between white and black middle-income families, black middle-income families are less likely to live in good neighborhoods. In fact, many still live in low income areas. This situation is called the neighborhood gap. What is the neighborhood gap? When comparing the same income levels for both black and white middle-income families, whites are much more likely to live in good neighborhoods that have good schools and offer other good amenities. But same-income black families are more likely to live in low-income neighborhoods. The difference even surprised researchers who thought that similar incomes would equate to similar neighborhoods. 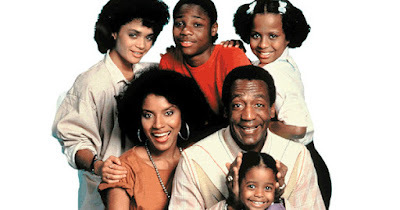 That's not exactly what we saw on the Cosby show with the Huxtable family! The study compared both white and black families with income levels of $100,000 a year. Whites were found to be living in neighborhoods with similar or higher values, while black families were found to live in neighborhoods with a median income of $54,400. These neighborhood gaps were more prominent in the Northeast and Midwest, and in larger metropolitan cities. The gap is smaller in the West. Some of the reasons for the disparity are believed to be higher net worth and more money for a down payment by whites. The reason it matters is because research shows that where you live affects your future. A Harvard research showed that children who grew up in better neighborhoods had a much better outcome as adults than children from low-income neighborhoods. Better neighborhoods are identified as those with less poverty and crime, schools with higher performing students, and more families with two parents.